Bali is a very sweet hairless Crestie who has come into rescue after the death of her elderly owner. Bali is a very people focused little girl, but she enjoys the company of other small dogs. Bali needs a home in Victoria. She would be ok as an only dog as long as her new owners domt work full time. If her owners work full time she will need another small dog for company. Bali is very sweet natured, and loves her people. She is a good eater and is crate trained. Her housetraining is coming along although she is still having accidents sometimes, so new owners will need to continue this. She has learnt how to use a doggy door and she is a playful girl with other small dogs. Bali enjoys going for walks in the lead and likes gentle children. 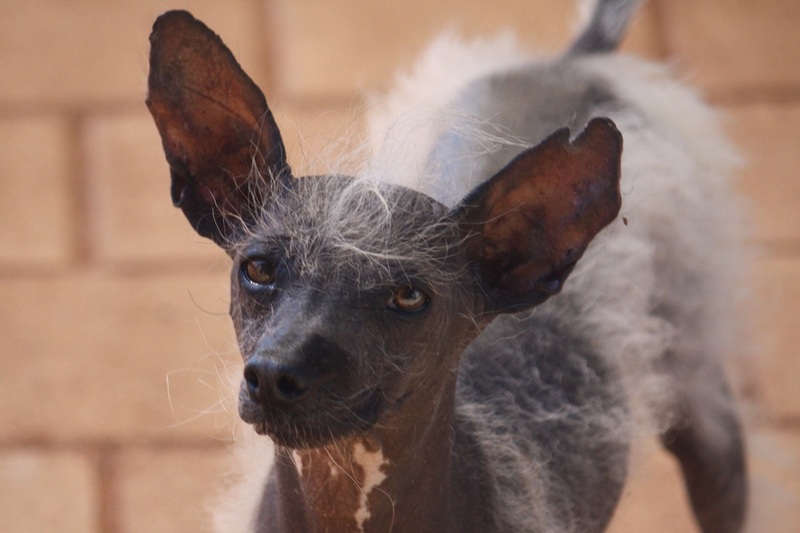 As she is hairless care just be taken she does not get sunburn, plus hairless dogs need regular baths and moisturising. Bali will come desexed, vaccinated, microchipped, vet checked, up to date with heartworm medications, and will a collar/lead for $450.